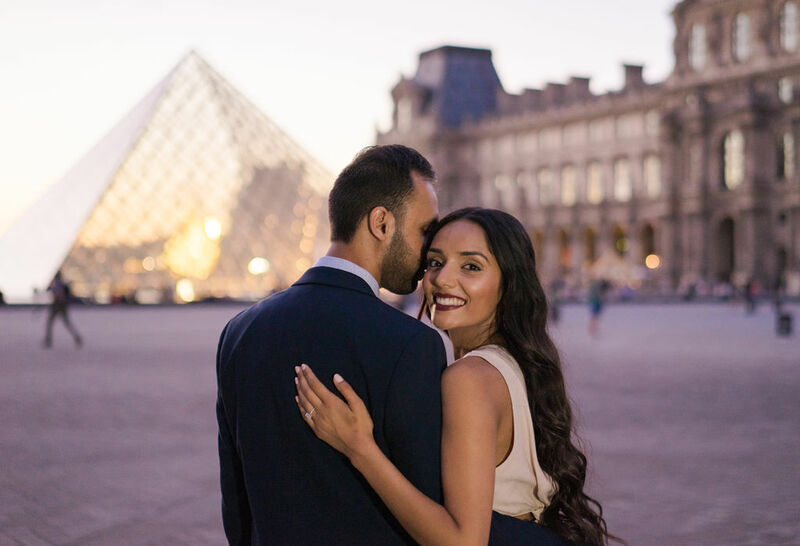 Nil & Karishma got engaged during sunset, on Pont Alexandre III Bridge. 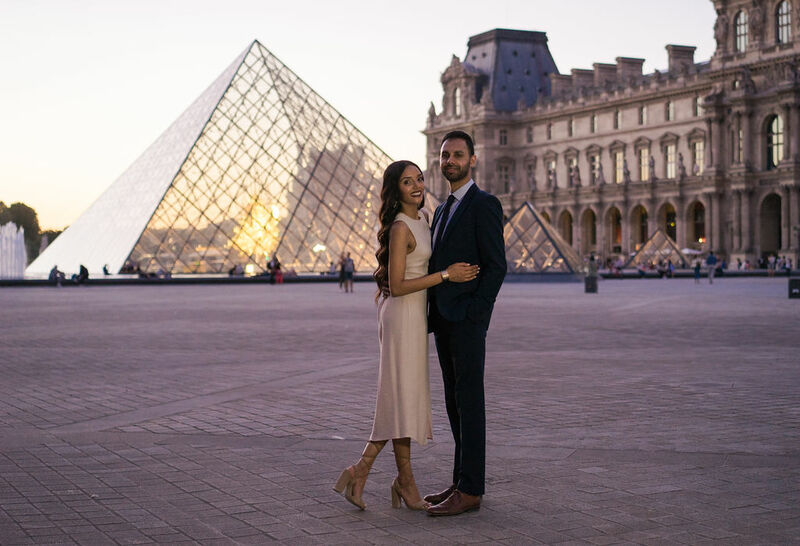 (See the lovely pics here!) 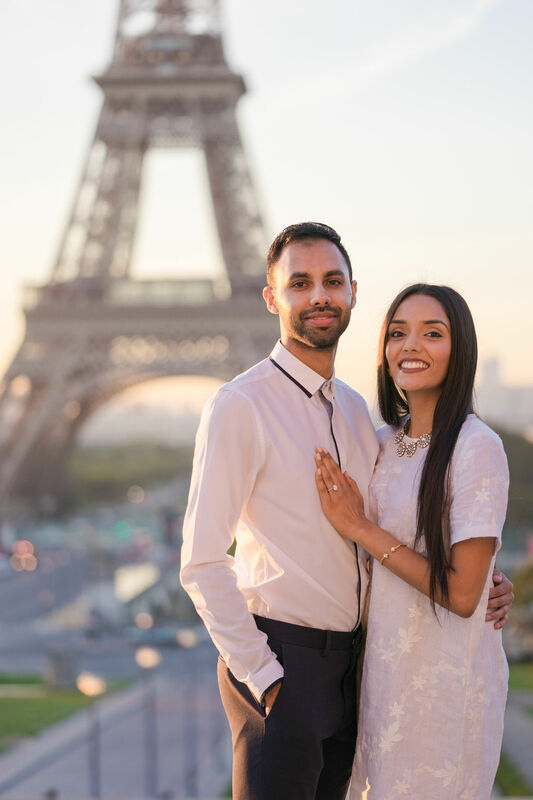 Nil also lined up two additional engagement sessions for his fiancé. 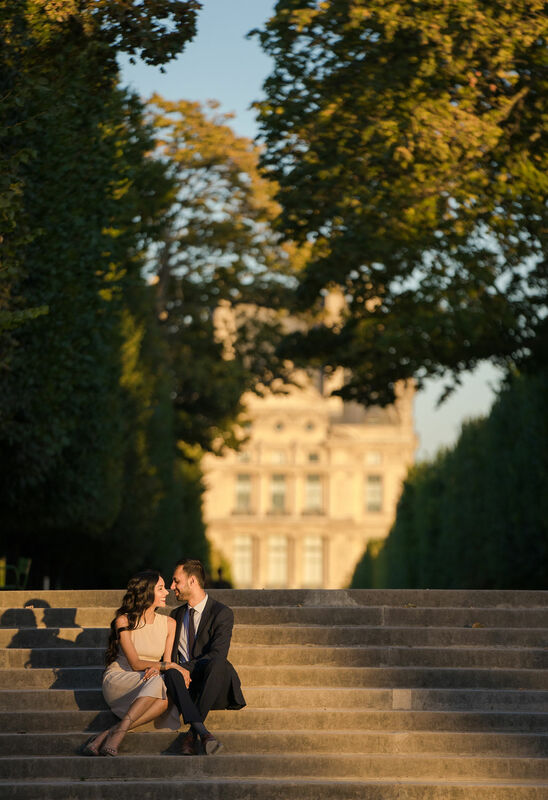 The first session was during sunrise at the Eiffel Tower, followed by a second session at sunset at the Louvre & Luxembourg Gardens. 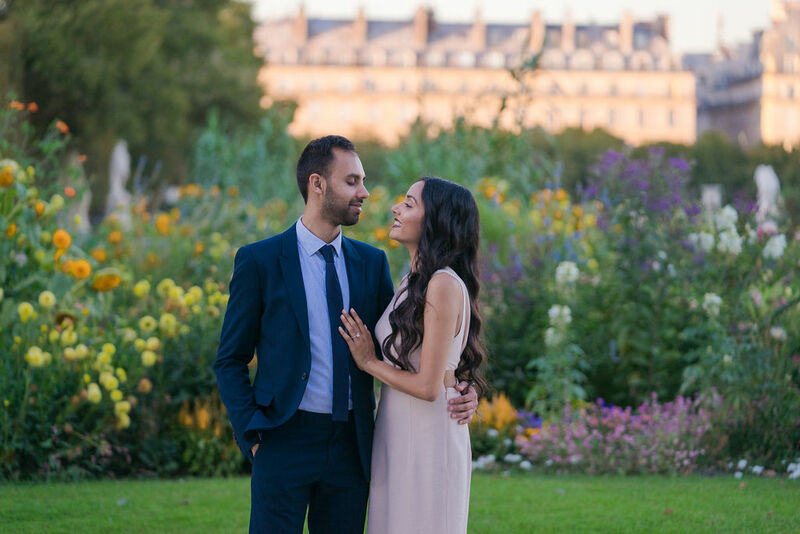 I loved getting to spend so much time with this lovely couple, and their photos are breathtaking! 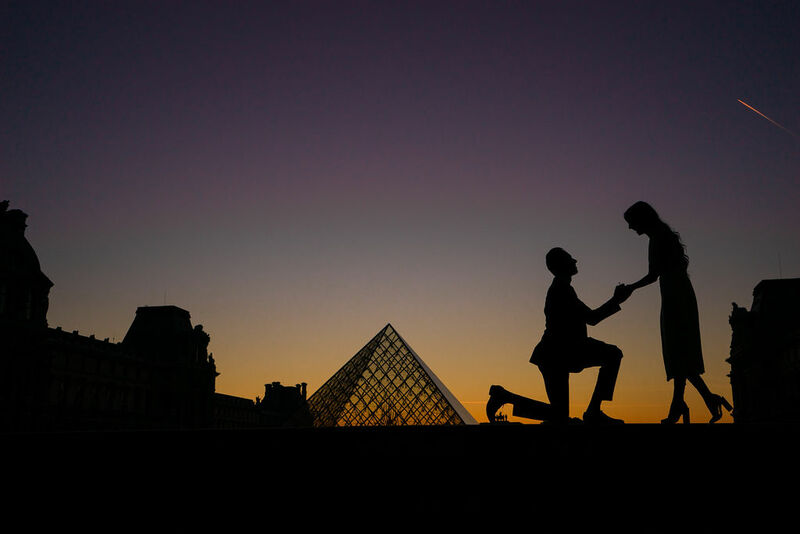 Congratulations N&K!